 本发明主张美国临时专利申请的优先权，该临时专利申请的申请号为60/658，258，名称为“用于执行入境漫游用户的呼叫控制服务的动态CAMEL方法”，申请目为2005年3月2日，在此以引用的方式将其整体并入本文中。  The present invention claims priority to U.S. Provisional Patent Application, Application No. this provisional patent application 60 / 658,258, entitled "Method for performing dynamic CAMEL inbound roamer call control services", filed head for March 2, 2005, by reference herein in its entirety herein. 本发明总体上涉及入境漫游用户。  The present invention generally relates to inbound roamers. 更加具体地说，本发明涉及入境漫游用户的增值呼叫控制服务。 More specifically, the invention relates to inbound roamer value-added call control services. 移动通信系统在全世界范围内使用。  In a mobile communication system used worldwide. 因此，各个不同的运营商向他们的用户提供国际漫游。 Therefore, various operators offer international roaming to their subscribers. 运营商特别对来自国外运营商的用户访问该运营商的网络中的入境漫游收益感兴趣。 Operators access to inbound roaming revenue particularly interested in the operator's network for users coming from foreign operators. 为了增加入境漫游收益，很多运营商向入境漫游用户提供多种不同的增值呼叫控制服务。 In order to increase inbound roaming revenue, many operators offers a variety of value-added call control services for inbound roamers. 其中一些增值服务是漫游本地短编码、最佳路由、和错误拨号数字纠正。  Some of these value-added services are roaming local short code, optimal routing, and dial-up digital error correction. 在漫游本地短编码服务中，入境用户在访问网络中进行了本地网络短编码拨号，例如客户服务或者急救拨号。 In the roaming local short code service, inbound user makes a local network short code dialing the access network, such as customer service or emergency dialing. 接着，该服务将短编码转换成本地长号码或访问长号码。 Next, the service will short code into a local access number or a long long number. 最佳路由服务允许在同一个访问网络内的当地入境漫游用户或者另一个入境漫游用户呼叫入境漫游用户。 Optimal routing service allows access within the same network of local inbound roamer or another inbound roamer call inbound roamer. 所述呼叫可以通过当地干线，而不是国际干线而被直接发送。 The call may be transmitted directly via the local mains, rather than international trunk. 并且，万一入境漫游用户由于错拨或者遗漏了国际拨号前缀而拨错号码时，该呼叫可以利用错误拨号数字纠正服务而被智能纠正。 And, in the event of an inbound roamer due to the wrong or missing international dialing prefix dialing the wrong number, the call may dial using the digital error correction service is intelligent corrected. 可以应用不同的技术来执行一个或多个上述服务。  Application of different techniques may perform one or more of the services. 其中的一个技术使用基于综合服务数字网用户部分（ISUP)的节点。 One technique uses node-based Integrated Services Digital Network User Part (ISUP) of. 在该项技术的实例当中，使用了配有服务节点的语音干线。 Among examples of the technology, the use of the voice trunk with a service node. 在另一实例当中，在始发的移动交换中心（MSC)的ISUP回送被用来发送通过服务节点的入境漫游用户的呼叫，优选地为通过使用各种呼叫服务逻辑。 Among another example, ISUP originating mobile switching center (MSC) is used to transmit a loopback inbound roamer's calls through the service node, preferably using various call service logic through. 在该两种实例中，线路资源被大量利用，并且交换机可能无法提供较优的拨号数字分析控制。 In both instances, a large number of line resources are utilized, and switches may not provide superior control of dialing digits analysis. 进一步地，ISUP信令没有主叫入境漫游用户的国际移动用户识别码（IMSI)，因此服务节点无法生成对于该入境漫游用户的呼叫详细记录（⑶R)。 Further, ISUP signaling no international mobile subscriber identity of the calling inbound roamer user (IMSI), and therefore not serving node generates Call Detail Record (⑶R) for the inbound roamer. IMSI可以通过使用在主叫入境漫游用户的移动用户综合服务数字网（ISDN)号码（MSISDN)上的移动应用部分（MAP)信令，而从本地公共移动网络（HPMN)的归属位置寄存器（HLR)上找到。 IMSI by using the Mobile Application Part (MAP) on the calling inbound roamer mobile subscriber integrated services digital network (ISDN) number (MSISDN) signaling from a Home Public Mobile Network (the HPMN) Home Location Register (HLR ) found on. 在另一项技术中，移动应用部分发送路由信息(MAP SRI)信令被用来执行一个或多个呼叫控制服务。 In another technique, Mobile Application Part Send Routing Information (MAP SRI) signaling is used to perform one or more call control services. 在这种情况下，可以通过对交换机进行配置来在特定的选定的用于入境漫游用户的号码上发布MAP SRI。 In this case, you can configure the switch to publish MAP SRI on the numbers for inbound roamer specific selected. 当MAPSRI信令到达服务节点时，服务节点采用不同的应用逻辑并将号码返回至交换机。 When MAPSRI signaling reaches the service node, the service node application logic and different numbers returned to the switch. MAP信令方法具有与ISUP信令不相等的资源利用。 MAP signaling method and ISUP signaling resource utilization having unequal. 然而，MAP信令方法被应用逻辑和记帐所限制，因为它不显示主叫方号码或入境漫游用户的IMSI或呼叫的持续时间。 However, the MAP signaling approach is limited by the application logic and billing, as it does not show the duration of the calling party number or IMSI of the inbound roamer or the call. 3 在另外一项技术中，MAP SRI信令与ISUP信令相结合。 3  In a further technique, MAP SRI signaling is combined with ISUP signaling. 例如，交换机首先将被呼叫号码上的MAP SRI信令发送至服务节点。 For example, the switch first MAP SRI signaling on the called number to the service node. 接着，服务节点检查被叫号码，来决定应用逻辑是否可以应用。 Next, the service node checks the called number to determine whether the application logic may be applied. 如果不可用，服务节点将会返回初始号码。 If not, the service node will return to the initial number. 但是，如果可用的话，服务节点则返回带前缀的被叫号码，这样交换机可以接下来将呼叫通过ISUP信令发送至服务节点。 However, if applicable, the service node returns a prefixed called number so the switch may then send the call to the service node via ISUP signaling. 这种混合的方法减少了ISUP信令的资源利用。 This hybrid approach reduces ISUP signaling resource utilization. 然而，该种方法很不利，因为MAP SRI信令没有主叫方，并且ISUP方没有主叫方的IMSI。 However, this method is disadvantageous because the MAP SRI signaling does not caller, and ISUP party does not IMSI of the calling party. 在另一项技术中，智能网络（IN)信令被用来执行入境漫游用户的呼叫控制服务。  In another technique, the Intelligent Network (IN) signaling is used to perform the call control of the inbound roamer service. 交换机被配置来将被叫号码上的IN消息启动至服务节点。 The switch is configured to IN messages on the called number to the service start node. 之后，服务节点采用不同的应用逻辑来与交换机进行交互作用。 Thereafter, the serving node using different application logic to interact with the switch. 当IN方法不严重利用线路资源并能够生成呼叫控制服务的记账，那么该方法为交换机依赖型。 The method of use is not serious when the IN line resources and can generate billing the call control service, the method is dependent switch. 某些交换机可能不提供主叫方的IMSI。 Some switches may not provide IMSI of the calling party. 某些交换机支持特定的IN功能，该功能允许在交换机处生成记帐。 Some switches support certain IN functions, which allows to generate billing at the switch. 这减少了在服务节点生成记帐的需求。 This reduces the need to generate billing at the service node. 然而，该IN方法很不利，这是因为运营商总是没有对交换依赖型IN规范支付许可费， 来使用不是那些交换机售货商提供的该IN应用。 However, this method is very IN disadvantage, because operators do not always pay licensing fees for exchange-dependent IN specification, not those who use the IN application switches vender provides. 因此，需要一种基于其它标准的方法，其成本经济且最小化利用线路资源。  Accordingly, a need for an approach based on other criteria, which minimize the use and cost-line resources. 进一步地，希望服务节点在交换机独立的环境下工作，执行各种各样的应用逻辑，并利用主叫方的MSISDN，而不需要入境漫游用户的IMSI来与交换机进行交互作用。 Further, we hope to work in the service node switch independent environment, the implementation of a wide variety of application logic and use MSISDN of the calling party, without the need for inbound roamer IMSI to interact with the switch. 图中，相同或相似的标号表示类似的元件或操作。  In the drawings, same or similar reference numerals indicate similar elements or operations. 图7显示了按照本发明的具体实施例，用于执行入境漫游用户的主叫线路识别的呼叫流程。  FIG. 7 shows an embodiment according to the present invention, particularly for performing the calling line identification of the inbound roamer call flow. 本发明提供了一种用于执行入境漫游用户的呼叫控制服务的方法。  The present invention provides a method for performing call control of the inbound roamer service. 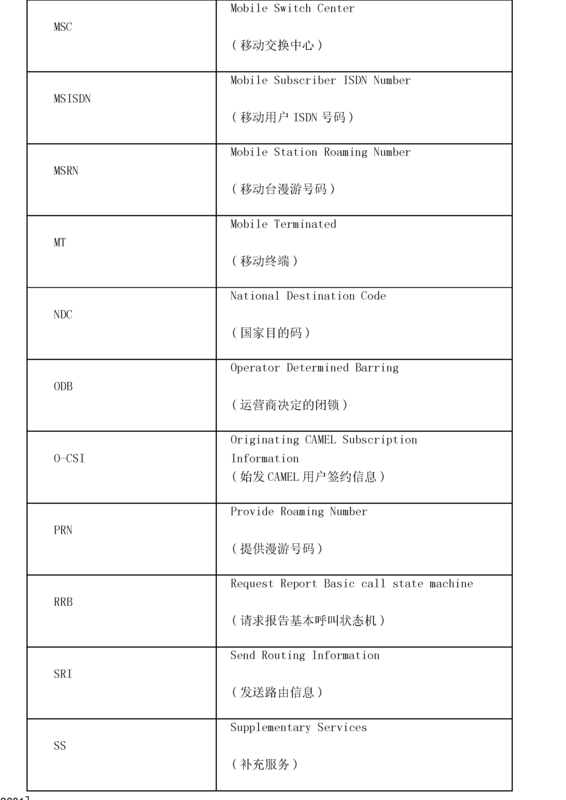 该方法包括在服务节点接收被叫号码的路由请求。 The method includes receiving a called number at a service node route request. 被叫号码存在于来自入境漫游用户的呼叫中。 Called number is present in a call from the inbound roamer. 该方法进一步包括，通过该服务节点，将被叫号码的终端移动网络增强型逻辑的客户化应用用户签约信息（T-CSI)发送至交换中心。 The method further comprises, through the service node, the called terminal number for Mobile network Enhanced Logic subscription information of the user client application (T-CSI) is sent to the switching center. 该T-CSI包含指向控制节点的地址。 The T-CSI contains an address pointing to the control node. 进一步地，该方法包括将呼叫的控制传递至控制节点，以执行入境漫游用户的呼叫控制服务。 Further, the method includes controlling the call is transmitted to a control node to perform a call control of the inbound roamer service. 本发明还提供了一种用于执行入境漫游用户的呼叫控制服务的系统。  The present invention further provides a system for performing call control of the inbound roamer service. 该系统包括控制节点，所述控制节点响应于启动请求，来执行呼叫控制服务。 The system comprises a control node, the control node in response to the start request, performs call control services. 该系统进一步包括服务节点，所述服务节点发送对于被叫号码的终端移动网络增强型逻辑的客户化应用用户签约信息（T-CSI)，以对被叫号码的路由请求做出响应，该T-CSI包含指向控制节点的地址。 The system further comprises a service node, the service node sends to the client application user terminal mobile network enhanced logic subscription information of the called number (T-CSI), the called number to route the request to respond, the T -CSI contains address points to the control node. 对于被叫号码的路由请求和启动请求被交换中心来发送，该交换中心从入境漫游用户接收到呼叫。 Routing request for the called number and the initiation request is transmitted to the switching center, the switching center receives a call from the inbound roamer. 以下的描述提供了具体的细节，以对入境漫游用户的呼叫控制（IRCC)系统的各种不同实施例进行全面的理解和实施的描述。  The following description provides specific details, in various different embodiments of the inbound roamer call control (IRCC) system and described in a comprehensive understanding of the embodiments. 然而，本领域技术人员将明白，IRCC系统可以在没有这些细节的情形中得以实施。 However, those skilled in the art will appreciate that, in the IRCC system may be practiced without these details. 在其他情况中，熟知的结构和功能并没有详细地显示或描述，以避免对IRCC系统的实施例的描述不必要的淡化。 In other instances, well-known structures and functions have not shown or described in detail to avoid description of the embodiments of the IRCC system unnecessary dilution. 这里提供的标题仅仅作为便利，而不影响本发明权利主张的范围或含义。 The headings provided herein only as a convenience, without affecting the scope or meaning of the claims of the invention claimed. 图1显示了按照本发明的具体实施例，用于执行入境漫游用户的呼叫控制服务的方法的流程图。  Figure 1 shows a flowchart of a method according to the particular embodiment of the present invention, for performing call control of the inbound roamer service. 在步骤102中，服务节点收到被叫号码的路由请求。 In step 102, the called number service node receiving the route request. 在发送该路由请求之前，交换中心接收到来自入境漫游用户对被叫号码的呼叫。 Prior to sending the routing request, the switching center receives a call to the called number from the inbound roamer. 之后，按照本发明的具体实例， 当被叫号码满足预定标准时，交换中心被配置来将路由请求发送至服务节点。 Thereafter, according to the specific examples of the present invention, when the called number satisfies a predetermined criterion, the switching center is configured to route the request to the service node. 在本发明的一个具体实例中，路由请求是被交换中心发送的被叫号码的发送路由信息（SRI)消息。 In one particular embodiment of the invention, the routing request is a called number to be transmitted switching center transmits route information (SRI) message. 在本发明的一个具体实例中，交换中心是全球移动通讯系统（GSM)服务交换功能（SSF)节点。 In one specific example of the present invention, the switching center is a Global System for Mobile Communications (GSM) Service Switching Function (SSF) node. 发送的路由请求在移动应用部分（MAP)协议下并行处理。 Routing request sent by the parallel processing at a Mobile Application Part (MAP) protocol. 在步骤104中，服务节点将对于被叫号码的终端移动网络增强型逻辑的客户化应用用户签约信息（T-CSI)发送至交换中心。  In step 104, the serving node subscription information (T-CSI) is sent to the switching center for the client application user terminal for Mobile network Enhanced Logic called number. 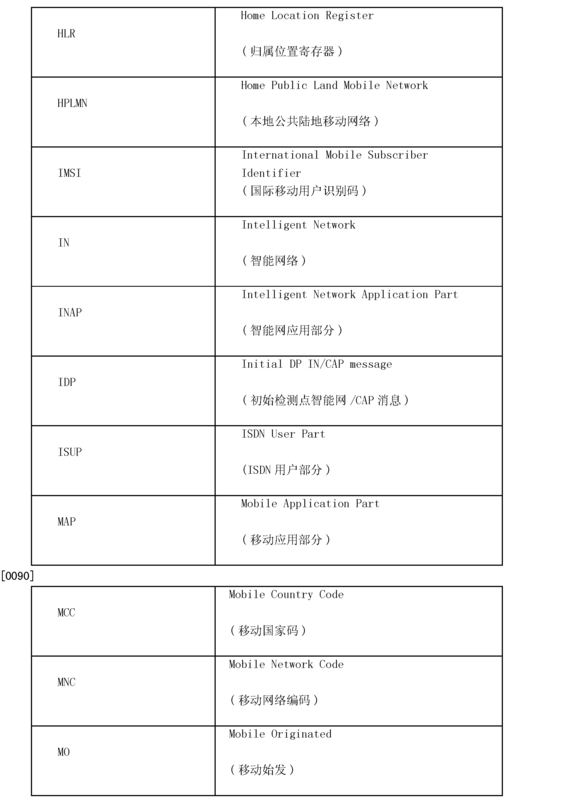 该T-CSI响应于路由请求而被发送。 The T-CSI route request response to be transmitted. 在本发明的一个具体实例中，服务节点是受访公用陆地移动网（VPLMN)的增值服务（VAS)节点。 In one particular embodiment of the invention, the service node is a visited public land mobile network (the VPLMN) value-added services (VAS) node. 由于任何号码的T-CSI通常提供有它的归属位置寄存器（HLR)，因此VPLMN VAS节点被用作被叫号码的V-HLR(虚拟归属位置寄存器）。 Since any number of the T-CSI is usually provided with its home location register (HLR), so VPLMN VAS node is used as a called number V-HLR (Home Location Register virtual). 由服务节点发送的T-CSI包含地址，所述地址逻辑指向服务节点自身或者控制节点。 T-CSI sent by the service node contains an address, said address pointing to a logical service node itself or a control node. 在本发明的具体实例中，控制节点是全球移动通讯系统（GSM)服务控制功能（SCF)节点，并可以和服务节点整合集成。 In a particular embodiment of the invention, the control node is a Global System for Mobile Communications (GSM) Service Control Function (SCF) node, and the integration can be integrated and service node. T-CSI还包括服务钥匙， 来识别由所述控制节点依赖被叫号码而使用的应用。 T-CSI also includes a service key identifying the application to the control node by the use of the called number dependent. 在步骤106中，呼叫的控制被传递至控制节点，该控制节点执行入境漫游用户的呼叫控制服务。 In step 106, control of the call is transmitted to the control node, the control node performs call control of the inbound roamer service. 当控制节点收到来自交换中心的启动请求中的IDP(初始检测点）时，呼叫的控制被传递至控制节点。 When the control node receives a start request from the switching center in the IDP (Initial Detection Point), control of the call is transmitted to the control node. 检测点（DP)是呼叫中的点，在检测点处，呼叫状态模型（BCSM)中的事件被检测到。 Detection Point (DP) is point in the call, at the detection point, the call state model (the BCSM) events are detected. 该DP可以被配置来通知DP遇到的控制节点（或GSM SCF节点），并为了潜在地使控制节点影响随后的呼叫的处理(或控制）。 The DP can be configured to notify the control node (or the GSM SCF node) DP encountered, and potentially to influence of the control node subsequent processing (or control) the call. 当在BCSM内的检测点检测到触发时，交换中心(或GSM SSF节点)生成IDP， 来从控制节点（或GSM SCF节点）请求指示。 When the detection point in the BCSM detecting a trigger, the switching center (or the GSM SSF node) generates the IDP, requesting instruction from the control node (or the GSM SCF node). 与IDP —起，控制节点也收到了入境漫游用户的号码、被叫号码和与被叫号码相关的IMSI。 And IDP - on, the control node also receives the inbound roamer's number, the called number associated with the called number IMSI. 在本发明的一个具体实例中，服务节点将与被叫号码相关的IMSI发送至交换中心（或GSM SSF节点）。 In one specific example of the present invention, a service node associated with the IMSI of the called number is sent to the switching center (or the GSM SSF node). 被服务节点发送的IMSI是被叫号码的伪IMSI，并被发送仅仅为了遵循使用中的标准协议。 IMSI is transmitted service node is a dummy IMSI of the called number and is sent only to the following standard protocol. 使用的协议是CAMEL协议。 The protocol used is CAMEL protocol. 5边界发生。 5 boundaries occur. 该漫游用户数据库包含多个字段，例如关于出境漫游用户的移动用户ISDN号码(MSISDN)、IMSI、始发CAMEL用户签约信息（O-CSI)、呼叫转移信息、呼叫闭锁信息、运营商决定的闭锁（ODB)、补充服务（SS)、受访移动交换中心（VMSC)、和访问位置寄存器（VLR)。 The roamer database contains multiple fields, such as a mobile subscriber ISDN number on outbound roamer (MSISDN), IMSI, Originating CAMEL Subscriber Information (O-CSI), call forwarding information, call blocking information, operator decides to latch (ODB), supplementary services (SS), visited mobile switching Center (VMSC), and a visitor location register (VLR). 控制节点使用这些漫游用户数据库中的字段，与从IDP中析取的参数一起，来使用入境漫游用户使用的应用中的程序和不同的逻辑。 The control node uses the roamer database fields, together with the inbound roamer to use an application program used by different logical parameters taken from the analysis of the IDP. 图2显示了按照本发明的具体实施例，用于执行入境漫游用户的呼叫控制服务的系统。  FIG. 2 shows an embodiment according to the present invention, particularly, the system for performing call control services for inbound roamers. 该系统包括交换中心202、服务节点204、控制节点206和追踪单元208。 The system includes a switching center 202, service node 204, node 206 and a tracking control unit 208. 交换中心202接收到入境漫游用户对被叫号码的呼叫。 Switching center 202 receives the inbound roamer call to the called number. 例如，交换中心202接收到入境漫游用户（A) 拨打被叫号码（B)的呼叫。 For example, switching center 202 receives the inbound roamer (A) dialing a called call number (B) is. 在本发明的一个具体实例中，交换中心202是网关移动交换中心（GMSC)。 In one particular embodiment of the invention, the switching center 202 is a Gateway Mobile Switching Center (GMSC). 在本发明的另一个具体实例中，交换中心202是VPLMN的移动交换中心（MSC)。 In another particular embodiment of the invention, the switching center 202 is a Mobile Switching Center VPLMN (MSC). 而在本发明再一个具体实例当中，交换中心202是GSM SSF节点。 In the present invention, which further specific example, switching center 202 is the GSM SSF node. 交换中心202被配置来将被叫号码的路由请求发送至服务节点204。 Switching center 202 is configured to route the request to the called number to the service node 204. 这保证了来自入境漫游用户的呼叫不被传递至入境漫游用户的HPLMN上，并确保了呼叫路由从VPLMN自身处被处理。 This ensures that a call from the inbound roamer is not passed on to the inbound roamer HPLMN, and to ensure that the call routing is processed from VPLMN their own place. 在本发明的一个具体实例中，路由请求通过使用对于被叫号码B的MAP SRI而被发送。 In one particular embodiment of the invention, the routing request is sent MAP SRI for the called number by using B. 在本发明的一个具体实例中，服务节点204是VPMN VAS节点，并被用作被叫号码（B)的虚拟HLR。 In one particular embodiment of the invention, the service node 204 is the VPMN VAS node and is used as a called number (B) of the virtual HLR. T-CSI包括服务钥匙，该服务钥匙识别由所述控制节点206为入境漫游用户使用的应用。 T-CSI comprises a service key identifying the service key by the control node 206 used for the application of the inbound roamer. 进一步地，该T-CSI还包含地址，该地址指向服务节点204或者控制节点206。 Further, the T-CSI also contains an address, this address points to the serving node 204 or the control node 206. 在本发明的具体实例中， 控制节点206是GSM SCF节点，并可以与服务节点204整合集成在一起。 In a particular embodiment of the invention, the control node is a GSM SCF node 206 and node 204 may be integrated with the integrated services. 在本发明的一个具体实例当中，服务节点204也发送被叫号码⑶的IMSI。  in which a particular embodiment of the invention, service node 204 also sends the IMSI ⑶ called number. 该被服务节点发送的IMSI是用于被叫号码的伪IMSI，并被发送来遵循使用中的CAMEL协议。 The IMSI is transmitted to the service node is a dummy IMSI for the called number and is sent to follow the CAMEL protocol in use. 交换中心202在收到T-CSI和地址时，将IDP发布至控制节点206。 Switching center 202 upon receiving T-CSI and the address, the IDP the control node 206 to publish. 控制节点206从IDP中析取出一个或多个参数，例如服务钥匙、被叫号码、入境漫游用户的号码、入境漫游用户类目、 位置号码、和GMSC或交换中心的地址。 Control node 206 extracts from the IDP one or more parameters in the analysis, such as a service key, the called number, the inbound roamer's number, inbound roamer category, location number, and address of GMSC or the switching center. 进一步地，控制节点206也收到了用于被叫号码（B) 的IMSI。 Further, the control node 206 also receives the IMSI for the called number (B) is. 追踪单元208通过监控在VPLMN和HPLMN之间的入境漫游用户的事务处理，来创建关于所述入境漫游用户的漫游用户数据库210。 Tracking unit 208 by monitoring transactions of the inbound roamer between VPLMN and the HPLMN to create a roamer database regarding the inbound roamer 210. 所述事务处理在移动应用部分（MAP)协议下并行处理，并穿越国际漫游边界发生。 In the transaction processing Mobile Application Part (MAP) protocol parallel processing, and occur across international roaming border. 在本发明的一个具体实例中，漫游用户数据库210可以包括多个字段，例如关于出境漫游用户A的MSISDN、IMSI、始发CAMEL用户签约信息（O-CSI)、呼叫转移信息、呼叫闭锁信息、0DB、补充服务、VMSC/VLR。 In one specific example of the present invention, the roaming user database 210 may include a plurality of fields, for example on the outbound roamer A MSISDN, IMSI, Originating CAMEL Subscriber Information (O-CSI), call forwarding information, call blocking information, 0DB, supplementary services, VMSC / VLR. 而在本发明的另一个具体实例当中，控制节点206使用入境漫游用户A的IMSI来生成由A到B的呼叫的记帐信息。 In another particular embodiment of the invention which, the control node 206 to generate billing information from A to B, the call using the IMSI of the inbound roamer A. 进一步地，这些来自漫游用户数据库中的字段，与从IDP中析取的参数一起，来运用入境漫游用户的各种不同应用的程序和不同的逻辑。 Further, these fields from the roamer database, parameters taken from the analysis with the IDP to use various applications of different logic programs and inbound roamer. 在本发明的一个具体实例中，这些应用为被入境漫游用户A使用的增值服务。 In one specific example of the present invention, these applications are value added services used by the inbound roamer A. 图3显示了按照本发明的具体实施例，用于执行入境漫游用户的短编码变换的呼叫流程。  FIG. 3 shows an embodiment according to the present invention, particularly, a call flow for performing the inbound roamer short code conversion. 在步骤302中，交换中心202接收到来自入境漫游用户（A)对被叫号码（B)拨号的呼叫。 In step 302, switching center 202 receives (A) dialing the called number of the call from the inbound roamer (B). 交换中心202检查预定标准的被叫号码。 Switching center 202 checks the called number predetermined criteria. 该预定标准特定于入境漫游用户使用的应用类型。 This type of application-specific predetermined criteria used by the inbound roamer. 例如，在本例中，当入境漫游用户使用端编码变换作为增值服务时，预定标准包括检查拨号数字的长度是否小于或等于预设值。 For example, in the present embodiment, when the inbound roamer using transform coding side as a value-added service, the predetermined criteria comprises checking whether the dialed digit length is less than or equal to a preset value. 进一步地，也对被叫号码的前缀，是不是当地号码前缀，是不是国际号码前缀，进行检查。 Further, also on the prefix of the called number is not a local number prefix is ​​not an international number prefix, to be checked. 一旦所有的标准都满足，在步骤304中，交换中心将关于B的SRI发送至服务节点204。 Once all the criteria are satisfied, in step 304, switching center 204 sends to the service node on the SRI B. 在步骤306中，服务节点204将T-CSI和与被叫号码（B)相关的IMSI发送至交换中心202。 At 306, the service node in step 204 and the T-CSI of the called number (B) related to the switching center 202 transmits IMSI. 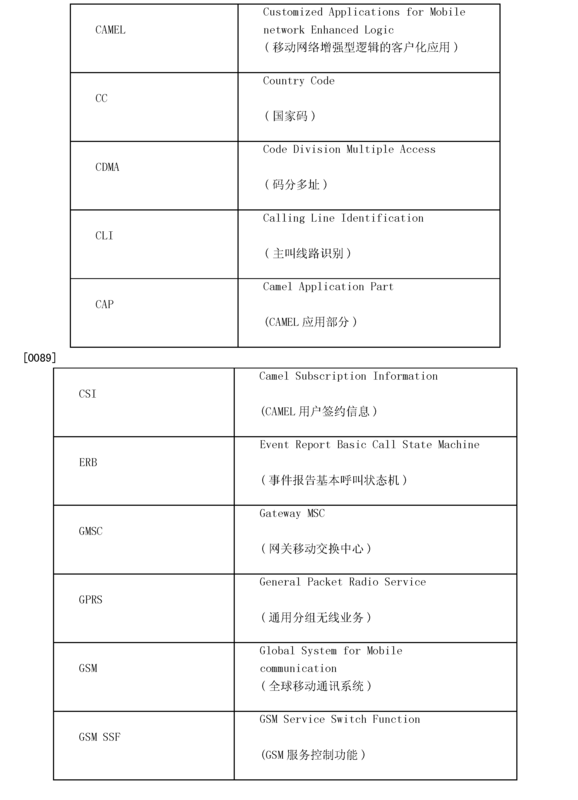 该T-CSI包括控制节点206的地址和服务钥匙。 The T-CSI comprises a service key and an address control node 206. 在步骤308中，交换中心202将IDP与A，B，IMSI⑶一起发送至控制节点206。  In step 308, switching center 202 and IDP A, B, transmits to the control node 206 IMSI⑶ together. 控制节点206通过核查数据库，来检查入境漫游用户的移动国家代码或移动网络代码（MCC/ MNC)是否被列入黑名单。 Whether the control node 206 through verification database to check the inbound roamer mobile country code or mobile network code (MCC / MNC) were blacklisted. 如果入境漫游用户被列入黑名单，控制节点206将“继续”消息发送至交换中心202，来对呼叫进行正常的路由。 If the inbound roamer is blacklisted, control node 206 'Continue' message to switching center 202 for normal routing of the call. 该“继续”消息为标准的CAMEL协议消息， 并被用来用信号通知交换中心来正常发送呼叫。 The "continue" message is a standard CAMEL protocol message, and is used to signal the switching center to send a normal call. 如果呼叫不可被路由发送的话，该呼叫可以被结束。 If the call can not be transmitted routing, the call may be terminated. 如果入境漫游用户没有列入黑名单，控制节点206就检查被叫号码是否是入境漫游用户的IMSI的移动国家代码的短编码，以致在关于入境漫游用户的移动国家代码的短编码变换表内存在长编码变换。 If the inbound roamer is not blacklisted, control node 206 checks whether the called number is a short code Mobile Country Code of the IMSI of the inbound roamer such that the short code conversion table on a mobile country code of the inbound roamer in memory length encoding conversion. 然而，如果被叫号码不是短编码，那么控制节点206将Continue(继续）消息发布至交换中心202来对呼叫进行正常路由。 However, if the called number is not a short code, then control node 206 to Continue (continue) messages published to the switching center 202 for normal routing of the call. 一旦拨叫的号码是短编码，则在步骤310中，控制节点206发布了对应于所述短编码的已变换的长号码。 Once the number is dialed short code, then in step 310, the control node 206 corresponding to the released length of the short code number has been transformed. 在某些情况下，长号码是当地号码。 In some cases, long number is a local number. 进一步地，如果入境漫游用户需要记帐的话，控制节点206在发布长号码之前，在tAnswer (被叫应答）以及接下来的tDiscormect (被叫断开）事件中， 以通知模式向交换中心202发布请求报告基本呼叫状态机（RRB)。 Further, if the inbound roamer billing is required, then the control node 206 long before the release number, in tAnswer (called a response) and subsequent tDiscormect (called off) event to notify mode switching center to release 202 request report basic call state machine (RRB). 之后，交换中心202将欲在tAnswer (被叫应答）和tDiscormect上报告的ERB (事件报告基本呼叫状态机）发送至控制节点206，接着被用来生成记帐信息。 Thereafter, the switching center 202 to be reported on the ERB TAnswer (called answer) and tDiscormect (Event Report Basic Call State Machine) transmits to the control node 206, is then used to generate billing information. 图4显示了按照本发明的具体实施例，用于执行入境漫游用户的错误拨号数字纠正的呼叫流程。  FIG. 4 shows a call flow according to particular embodiments of the present invention, the inbound roamer for performing error correction of dialed digits. 在步骤402中，交换中心202接收到来自入境漫游用户（A)对被叫号码B拨号的呼叫。 In step 402, switching center 202 receives (A) dialing a call to a called number B from the inbound roamer. 交换中心202检查预定标准的被叫号码。 Switching center 202 checks the called number predetermined criteria. 该预定标准包括检查拨号数字的长度是否大于预设值。 The predetermined criteria comprises checking whether the dialed digit length is greater than a preset value. 进一步地，交换中心202检查被叫号码（B)的前缀是否等于非VPLMN国家的错误的国际拨号前缀。 Further, switching center 202 checks the called number (B) is equal to the prefix of international dialing prefix of a non-VPLMN country error. 交换中心202检查被叫号码的前缀是不是当地号码前缀，是不是国际号码前缀。 Prefix switching center 202 checks the called number is not a local number prefix is ​​not an international number prefix. 在步骤404中，交换中心202将关于B的SRI发送至服务节点204。 In step 404, switching center 202 sends to the service node 204 on the SRI B. 在步骤406中，服务节点204将与被叫号码（B)相关的T-CSI和IMSI发送至交换中心202。 In step 406, service node 204 associated with the called number (B) of the T-CSI and IMSI to the switching center 202 transmits. 该T-CSI包括服务钥匙和控制节点206的地址。 The T-CSI includes a service key 206 and a control node address. 在步骤408中，交换中心202将IDP与A，B, IMSI(B) —起发送至控制节点206。  In step 408, switching center 202 IDP and A, B, IMSI (B) - from 206 transmits to the control node. 控制节点206检查入境漫游用户的移动国家代码或移动网络代码（MCC/MNC)是否被列入黑名单。 206 checks whether the inbound roamer mobile country code control node or a mobile network code (MCC / MNC) blacklisted. 若入境漫游用户被列入黑名单，控制节点206将Continue消息发送至交换中心202，来对呼叫进行正常路由。 If the inbound roamer is blacklisted, control node 206 sends Continue message to switching center 202 for normal routing of the call. 如果入境漫游用户没有列入黑名单，控制节点206就检查被叫号码是否能利用HPLMN的编号方案而被纠正，该HPLMN的编号方案包括它的国家码和国际码、以及VPLMN的编号方案，该VPLMN的编号方案包括它的国家和国际拨号前缀。 If the inbound roamer is not blacklisted, control node 206 checks to see if the called number can use HPLMN numbering scheme is correct, the HPLMN numbering scheme including its country code and international code, and VPLMN numbering scheme, the VPLMN numbering scheme including its national and international dialing prefix. 然而， 如果被叫号码无法被纠正，控制节点就发布“继续”消息至交换中心，以进行正常的呼叫路由。 However, if the called number can not be corrected, the control node on the release of the "Continue" message to the switching center for normal call routing. 万一存在对于被叫号码的已纠正号码，那么在步骤410中，控制节点206就发布对应于被叫号码的已纠正号码。 In case there is a number of the called number has been corrected, then in step 410, the control node 206 to release the called number corresponding to the number have been corrected. 在某些情况下，已纠正号码是路由号码，其中入境漫游者信息， 例如呼叫方ID身份，被发送以进行主叫线路识别限制（CLI)保证。 In some cases, it has been corrected number is a routing number, wherein the inbound roamer information such as caller identification ID, is transmitted for Calling Line Identification Restriction (CLI) guarantee. 进一步地，如果入境漫游用户需要记帐的话，控制节点206在发布已纠正的号码之前，在tAnswer以及接下来的tDiscormect事件中，以通知模式向交换中心202发布RRB。 Further, if the inbound roamer billing is required, then the control node 206 before the release of the numbers have been corrected in the next tDiscormect tAnswer and events in order to inform the model 202 issued RRB to switching center. 之后，交换中心202将欲在tAnswer和tDiscormect上报告的ERB(事件报告基本呼叫状态机）发送至控制节点206， 接着被用来生成记帐信息。 After, ERB switching center 202 to be reported on the tAnswer and tDiscormect (Event Report Basic Call State Machine) transmits to the control node 206, is then used to generate billing information. 7 图5显示了按照本发明的具体实施例，用于执行入境漫游用户的最佳路由的呼叫流程。 7  FIG. 5 shows a call flow according to particular embodiments of the present invention for performing optimal route inbound roamer's. 在步骤502中，交换中心202接收到来自入境漫游用户（A)对被叫号码B的呼叫。 In step 502, switching center 202 receives (A) a call to a called number from the inbound roamer B. 交换中心202检查预定标准的被叫号码，该检查包括检测被叫号码是否被加有特殊前缀，例如#0。 Switching center 202 checks the called number of predetermined criteria, the inspection comprises detecting whether the called number is applied with a special prefix, such as # 0. 进一步地，交换中心202检查被叫号码的前缀是否属于某些国家码国内拨号码（CC NDC)名单，以及被拨号数字是否为国际号码。 Further, the prefix switching center 202 checks whether or not the called number belongs to some domestic dial the country code number (CC NDC) list, and whether the dialed digits for the international numbers. 交换中心202检查被叫号码是否等于国际号码。 Switching center 202 checks the called number is equal to an international number. 在步骤504中，交换中心202将关于B的SRI发送至服务节点204。 In step 504, switching center 202 sends to the service node 204 on the SRI B. 在步骤506中，服务节点204将与被叫号码（B)相关的IMSI和T-CSI发送至交换中心202。 In step 506, service node 204 and the called number (B) of the associated T-CSI and IMSI to the switching center 202 transmits. 该T-CSI包括控制节点206的地址和服务钥匙。 The T-CSI comprises a service key and an address control node 206. 在步骤508中，交换中心202将IDP与A，B，IMSI⑶一起发送至控制节点206。  In step 508, switching center 202 sends to the IDP along with A, B, IMSI⑶ control node 206. 控制节点206检查入境漫游用户的MCC/MNC是否被列入黑名单。 206 checks whether the inbound roamer control node MCC / MNC blacklisted. 若入境漫游用户被列入黑名单，控制节点206将Continue消息发送至交换中心202，来对呼叫进行正常路由。 If the inbound roamer is blacklisted, control node 206 sends Continue message to switching center 202 for normal routing of the call. 如果入境漫游用户没有列入黑名单，控制节点检查被叫号码是否存在于漫游用户数据库110内。 If the inbound roamer is not blacklisted, control node checks whether the called number exists in the roaming user database 110. 然而，一旦被叫号码不在数据库内或者被叫国际号码不满足最佳路由条件，控制节点则向交换中心202发布Continue消息来进行呼叫的正常路由。 However, once the called number is not in the database or the called international number does not satisfy the conditions of optimal routing, control node Continue message is issued to the switching center 202 for normal routing of the call. 否则，在步骤510中，控制节点206 将移动应用部分提供路由号码（MAP PRN)发布至漫游用户的VLR，该VLR接着将移动台漫游号码（MSRN)返回至控制节点206。 Otherwise, in step 510, the control node 206 to provide routing number (MAP PRN) to the roaming user's publishing a Mobile Application Part VLR, the VLR then the mobile station roaming number (the MSRN) back to the control node 206. 进一步地，如果入境漫游用户需要记帐的话，控制节点206在发布MSRN之前，在tAnswer以及接下来的tDisconnect事件中，以通知模式向交换中心202发布RRB。 Further, if the inbound roamer billing is required, then the control node 206 before publishing MSRN, and in tAnswer next tDisconnect event to publish notification mode 202 RRB to switching center. 之后，交换中心202将欲在tAnswer和tDisconnect上报告的ERB(事件报告基本呼叫状态机）发送至控制节点206，接着被用来生成记帐信息。 After, ERB switching center 202 will want to report on the tAnswer and the tDisconnect (Event Report Basic Call State Machine) transmits to the control node 206, it is then used to generate billing information. 图6显示了照本发明的具体实施例，用于执行入境漫游用户的遗漏呼叫提醒的呼叫流程。  FIG. 6 shows a call flow according to particular embodiments of the present invention, for performing the inbound roamer missed call alerts. 在步骤602中，交换中心202接收到来自入境漫游用户A对被叫号码B的呼叫。 In step 602, switching center 202 receives a call from the inbound roamer A to B of the called number. 交换中心202检查预定标准的被叫号码。 Switching center 202 checks the called number predetermined criteria. 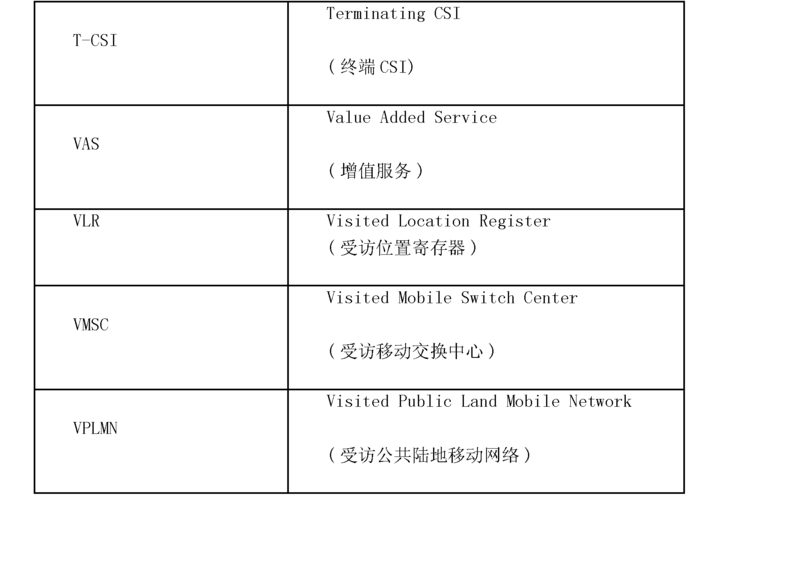 交换中心202检查被叫号码是否是VPLMN用户号码。 Switching center 202 checks the called number is a VPLMN subscriber number. 进一步地，交换中心202检查被叫号码的前缀是否属于CC NDC名单，以及被拨号数字是否为国际号码。 Further, the prefix switching center 202 checks whether or not the called number belongs to the CC NDC list and is dialed digits if the international number. 在步骤604中，交换中心202将关于B的SRI发送至服务节点204。 In step 604, switching center 202 sends to the service node 204 on the SRI B. 在步骤606中，服务节点204将与被叫号码相关的IMSI和T-CSI发送至交换中心202。 In step 606, service node 204 associated with the called number IMSI and T-CSI is sent to the switching center 202. 该T-CSI 包括控制节点206的地址和服务钥匙。 The T-CSI comprises a service key and an address control node 206. 在步骤608中，交换中心202将IDP与A，B，IMSI⑶一起发送至控制节点206。  In step 608, switching center 202 sends to the IDP along with A, B, IMSI⑶ control node 206. 控制节点206检查入境漫游用户的MCC/MNC是否被列入黑名单。 206 checks whether the inbound roamer control node MCC / MNC blacklisted. 若入境漫游用户被列入黑名单，控制节点206将Continue消息发送至交换中心202，来对呼叫进行正常路由。 If the inbound roamer is blacklisted, control node 206 sends Continue message to switching center 202 for normal routing of the call. 如果入境漫游用户没有列入黑名单，则在步骤610中，控制节点206以通知的形式，在tBusy (被叫忙)UNotanswer (被叫无应答)、tAnswer和之后的tConnect (被叫连接)事件中将RRB发布至交换中心202。 If the inbound roamer is not blacklisted, then at step 610, the control node 206 in the form of notification, in tbusy (called party is busy) UNotanswer (called subscriber does not answer), tConnect tAnswer and after (called connection) Events RRB will be released to the switching center 202. 控制节点206还将Continue消息发布至交换中心。 Continue control node 206 will also publish a message to the switching center. 之后，交换中心202 在步骤612中发送ERB (事件报告基本呼叫状态机）来报告tBusy、tNotanswer、tAnswer和tConnect事件。 Thereafter, the switching center 202 transmits in step 612 ERB (Event Report Basic Call State Machine) reported tBusy, tNotanswer, tAnswer and tConnect events. 接着，当被叫号码再次可用时，控制节点206决定将遗漏电话提醒或者发送至被叫号码，和/或者至主叫漫游用户。 Next, when the called number is available again, the control node 206 determines to send the missing or alert to the called telephone number, and / or calling party to a roaming user. 图7显示了照本发明的具体实施例，用于执行入境漫游用户的最佳路由的呼叫流程。  FIG. 7 shows a call flow according to particular embodiments of the present invention, for performing optimal route inbound roamer's. 在步骤702中，交换中心202接收到来自入境漫游用户A对被叫号码B的呼叫。 In step 702, switching center 202 receives a call from the inbound roamer A to B of the called number. 交换中心202检查预定标准的被叫号码，该检查包括检查被叫号码是否是国际号码。 Switching center 202 checks the called number of predetermined criteria, the inspection includes checking whether the called number is international number. 进一步地， 交换中心202检查被叫号码的前缀是否属于某CC NDC名单，以及被拨号数字是否为国际号码。 Further, switching center 202 checks prefix of the called number belongs to a CC NDC list and the dialed numbers are international numbers. 在步骤704中，交换中心202将关于B的SRI发送至服务节点204。 In step 704, switching center 202 sends to the service node 204 on the SRI B. 在步骤706中，服务节点204将与被叫号码相关的IMSI和T-CSI发送至交换中心202。 In step 706, service node 204 associated with the called number IMSI and T-CSI is sent to the switching center 202. 该T-CSI包括控制节点206的地址和服务钥匙。 The T-CSI comprises a service key and an address control node 206. 在步骤708中，交换中心202将IDP与A，B，IMSI⑶一起发送至控制节点206。  In step 708, switching center 202 sends to the IDP along with A, B, IMSI⑶ control node 206. 控制节点206检查入境漫游用户的MCC/MNC是否被列入黑名单。 206 checks whether the inbound roamer control node MCC / MNC blacklisted. 若入境漫游用户被列入黑名单，控制节点206将Continue消息发送至交换中心202，来对呼叫进行正常路由。 If the inbound roamer is blacklisted, control node 206 sends Continue message to switching center 202 for normal routing of the call. 如果入境漫游用户没有列入黑名单，控制节点206采用CLI算法来获得路由号码。 If the inbound roamer is not blacklisted, control node 206 using CLI algorithm to obtain routing number. 之后，在步骤710 中，控制节点206将路由号码发布至交换中心202。 Thereafter, in step 710, the control node 206 to publish a routing number to the switching center 202. 进一步地，如果入境漫游用户需要记帐的话，控制节点206在发布路由号码之前，在tAnswer以及接下来的tDiscormect事件中， 以通知模式向交换中心202发布RRB。 Further, if the inbound roamer billing is required, then the control node 206 before the release of the routing number, and the next tDiscormect in tAnswer event to publish notification mode 202 RRB to switching center. 之后，交换中心202发送tAnswer和tDisconnect， 该tAnswer和tDisconnect接着被用来记帐。 Thereafter, the switching center 202 sends tAnswer and tDisconnect, the tAnswer and then tDisconnect to billing. 这里还提供有计算机可用介质，其包括计算机可用程序代码，该程序代码在被执行时，通过在服务节点接收被叫号码的路由请求而为执行入境漫游用户的呼叫控制服务。  There is also provided a computer usable medium, comprising computer usable program code, which program code, when executed, called number by receiving a routing request in a service node to implement the call control of the inbound roamer service. 被叫号码存在于来自入境漫游用户的呼叫中。 Called number is present in a call from the inbound roamer. 该计算机可用介质进一步包括用于发送的计算机可用程序代码，该用于发送的计算机可用程序代码，通过服务节点，将对于被叫号码的终端移动网络增强型逻辑的客户化应用用户签约信息（T-CSI)发送至交换中心。 The computer usable medium further includes computer usable program code for transmission, the computer usable program code for sending, by the serving node, the subscription information for the client application user terminal for Mobile network Enhanced Logic called number (T -CSI) sent to the switching center. 所述T-CSI包含至向控制节点的地址。 The T-CSI contains an address to the control node. 该计算机可用介质进一步包括用于传递的计算机可用程序代码，所述用于传递的计算机可用程序代码将呼叫的控制传递至所述控制节点，来执行入境漫游用户的呼叫控制服务。 The computer usable medium further comprising computer usable program code for transmitting, for transmitting the control computer usable program code for transmitting the call to the control node performs call control of the inbound roamer service. 以上所描述的入境漫游用户呼叫控制系统（IRCCS)的元素包括计算元素和一起操作的装置的任意结合。  The elements of the inbound roamer call control system (IRCCS,) described above include any computing device and the elements operating together in combination. IRCCS的元素也可以是在更大的计算机系统或网络下的元素或子系统。 IRCCS elements may be in larger computer system or network elements or subsystems. IRCCS的元素还可以与任意数量的其它元素（图中未示）耦合，例如其它的总线、控制器、内存设备、和数据输入/输出设备，并以任意数量结合的方式。 IRCCS element may also be any number of other elements (not shown) coupled to, for example other buses, controllers, memory devices, and data input / output devices, in any number and combination of ways. 此外，基于其他处理的元素的任意数量或者组合可执行该IRCCS的功能。 Further, based on any number of other processing elements, or a combination of executable functions of the IRCCS. 应当注意，在此揭露的各种不同的元素，根据这些元素的行为、登记转移、逻辑单元、晶体管、几何布局、和/或其他特性，可以利用诸如包含在不同的计算机可读介质内的数据和/或指令的计算机辅助设计工具来描述和/或表达（或呈现）。  It should be noted that the various elements disclosed herein, according to the behavior of these elements, register transfer, logic unit, transistor, layout geometry, and / or other characteristics, such as may be utilized in the various computer-readable comprise medium the data and / or instructions to computer aided design tools described and / or expression (or presented). 包含了这种格式化的数据和/或指令的计算机可读介质包括，但不仅限于：不同形式的永久性存储介质（例如，光、磁或半导体存储介质）以及载波，所述载波可以用来通过无线、光、或有线信令介质或以上的组合来传递这种被格式化的数据和/或指令。 Includes such formatted data and / or instructions of computer-readable media include, but are not limited to: various forms of persistent storage medium (e.g., optical, magnetic or semiconductor storage media) and carrier waves, the carrier may be used through wireless, optical, or wired signaling media or a combination thereof to pass such formatted data and / or instructions. 除非本文明确要求，否则，通篇说明书和权利要求中的“包括” “包括有”等类似的词语要被解释成包括式的含义，而不应被解释成只有或穷尽的含义；也就是说，这些词含义为“包含，但不仅限于”。  Unless the context clearly requires otherwise, throughout the specification and claims, "comprising", "including" and similar terms are to be interpreted to include the meaning of formula, and should not be construed as meaning only or exhaustive; In other words, these words meaning "including, but not limited to." 使用单数或复数数量的词语也可以分别包括复数数量和单数数量。 Words using the singular or plural number may also include the plural and the number of singular number respectively. 此外，词语“此处”、“以上”、“上述”、“以下”和类似的词语表示将该申请作为整体，并不特指该申请的某一特定部分。 Moreover, the word "here", "above", "above", "below" and words of similar represents a particular section of this application as a whole, not specific to this application. 当“或（者）”一词被用来参考列举中的一个或多个项目时，该词语覆盖了以下所有关于这个词的解释：列举中的任何一个项目、列举中的所有项目和以上的任意组合。 When the word "or (are)" is used with reference to one or more of the listed items, that word covers all of the following explanation of the word: any of the items in the enumeration, and all the items listed in the above random combination. 以上对所示例的IRCCS实施例的描述并非用来穷举或将IRCCS限制在所揭露的准确形式内。 Description  more embodiments of the IRCCS is not intended to be exhaustive or exemplary limit the IRCCS to the precise form disclosed. 在这里所描述的IRCCS的特定的实施例和例子为示例性的目的，本领域技术人员将明白，在IRCCS范围内各种不同的等同变换也是可行的。 In certain embodiments and examples described herein IRCCS for illustrative purposes, those skilled in the art will appreciate that, within the scope of the various different IRCCS equivalent conversion is also feasible. 此处提供的IRCCS的教义可以应用在其它的过程处理系统和方法中，而并不仅限于以上所描述的系统和方法。 IRCCS teachings provided herein may be applied to other processing systems and methods in the process, but is not limited to the systems and methods described above. 以上所描述的各种不同实施例的元素和操作可以结合起来用于提供进一步的实施例。  The elements and operation of the various embodiments described above can be combined to provide further embodiments. 这些和其它的变化可按照上述的具体描述而用于IRCCS中。 These and other variations as described above may be used in the detailed description of the IRCCS. 以上详细描述了用于执行入境漫游用户的呼叫控制服务，用以启发本领域技术人员，而并非对本发明的保护范围进行限制。  The above detailed description of the call control services for the inbound roamer performed for inspiration skilled in the art, and are not the scope of the present invention to be limiting. 在本发明的精神实质范围内，本领域技术人员可以参照本发明揭露的具体实施例进行大量的修改或改变。 Within the spirit scope of the invention, those skilled in the art can make numerous modifications or changes with reference to specific embodiments of the invention disclosed. 例如，本发明主要从如在实施例中描述的GSM网络的角度下进行实施，但应当清楚的是，对于CDMA，3G，WCDMA，GPRS等网络， 或其他任何普通运输电信网络，本发明均可以有效实施，其中在这些电信网络中，终端用户通常被装配，以在他们通常定制的“本地，，网络下进行操作，并具有在其他的可能跨越国界的临近网络中进行操作的能力。 For example, the present invention is mainly carried out from the perspective of the GSM network as in the embodiments described, it should be clear that, for CDMA, 3G, WCDMA, GPRS and other networks, or any other common carriers telecommunication network, the present invention can be effective implementation, wherein the telecommunications network, the end user will normally fitted to normally operate at their customized ",, local network, and has the ability to operate in the other network may span near the borders. 在本发明入境漫游用户呼叫控制系统（IRCCS)的多个例子当中，所包含的示例性的例子中使用的大量术语和概念均来自GSM移动电讯基础设施领域。  In various examples of the present invention, inbound roamer call control system (IRCCS,) among a number of terms and concepts contained in the illustrative example are used in the art from the GSM mobile telephony infrastructure. 然而，使用这些具体实例不应被解释成将本发明限定在这些媒介下。 However, these specific examples are not to be construed to limit the invention in these media. 入境漫游用户呼叫控制系统一一种用于执行入境漫游用户的呼叫控制服务的方法，该执行以对于受访或非通常网络的能力不可知的方式进行。 Inbound roamer call control system of the inbound roamer A method for performing call control services for the execution on the ability to non-typically visited network agnostic manner. 这种方法是有用的，并通过任何电信媒介而被提供，该些电信媒介包括：（i) 任何移动电话网络，包括，但不限制于GSM，3GSM，3G，⑶MA，WCDMA或GPRS，卫星电话或其他移动网络或系统；（ii)任何所谓的在家庭或用户网络使用的WiFi (基于IEEE 802. Ilb标准的无线局域网）设备，该设备也被配置用在受访或者非家庭或非常规网络，该设备包括非专用于电讯的装置，如个人电脑、手掌设备或者Windows移动装置；（iii)娱乐控制平台， 例如索尼游戏平台，PSP或其它可通过家庭或非家庭网络发送和接收无线信号的设备；或者甚至（iv)用于接收无线电通信的固定线装置，该固定线装置可以在保持固定IP地址的情况下进行各种位置的放置的装置，如台湾友华网络公司（D-Iink)的眼对眼装置；或者通过IP通讯进行语音交流的电信设施，例如Vonage公司或I^act讨8公司的电信设施。 This method is useful, and is provided by any telecommunications medium, the plurality of telecommunications media comprising: (i) any mobile telephony network including, without limitation GSM, 3GSM, 3G, ⑶MA, WCDMA or GPRS, satellite phones or other mobile networks or systems; (ii) any so-called WiFi (IEEE 802. Ilb standard based wireless LAN) devices used in the home network or a user, the device can also be configured for use in a conventional or non-home or visited network the apparatus comprises a non-dedicated telecommunications device, such as a personal computer, a palm device, or Windows mobile devices; (iii) entertainment control platform, for example, Sony Playstation, PSP or other transmitted and received through the home network or home wireless signal equipment; or even a fixed line means (iv) for receiving a radio communication, the antenna device may be fixed device is placed in various locations while maintaining a fixed IP address, such as Taiwan Friends of networks (D-Iink) the eye to eye device; or the exchange of voice communications over IP telecommunications facilities, such as Vonage, or I ^ act 8 to discuss the company's telecommunications facilities. 根据本发明描述的某些的IRCCS实施例中，本说明书遵循从主叫方至被叫方的电信路径呼叫。  According to some of the described embodiments of the present invention IRCCS embodiment, this specification follows the path from the calling party to the called party telecommunications call. 为了避免怀疑，该呼叫可以用于普通语音呼叫，其中用户电信设备也能够进行视频、视听或动态画面显示。 For the avoidance of doubt, that call can be used for normal voice calls, where the user can perform a video telecommunication device, audio, video or moving image display. 可选择地，这些设备或呼叫可以是文本、视频、照片、或其他通信数据。 Alternatively, those devices or calls can be text, video, photographs, or other data communications. 1. 一种用于执行入境漫游用户的呼叫控制服务的系统，所述系统包括：控制节点，所述控制节点响应于启动请求，以执行呼叫控制服务；服务节点，所述服务节点响应于被叫号码的路由请求，来发送对于被叫号码的终端移动网络增强型逻辑的客户化应用用户签约信息τ-csi，其中所述T-CSI包含指向所述控制节点的地址；交换中心，所述交换中心发送所述被叫号码的所述路由请求和所述启动请求，其中所述被叫号码存在于来自所述入境漫游用户的呼叫中，并且所述被叫号码满足预定标准；追踪单元，所述追踪单元通过监控在受访公用陆地移动网的访问位置寄存器（VPLMN VLR)和本地公用陆地移动网的归属位置寄存器（HPLMN HLR)之间的所述入境漫游用户的事务处理，来创建所述入境漫游用户的漫游用户数据库，其中所述事务处理在移动应用部分（MAP)协议下并 1. A system for performing call control of the inbound roamer and services, the system comprising: a control node, the control node in response to the activation request, to perform a call control services; service node, the service node in response to called routing number request, the client application transmits to the user terminal for mobile network enhanced logic subscription information of the called number τ-csi, wherein the T-CSI contains an address pointing to the control node; switching center, the the switching center of the called routing number request and the start request, wherein the called number is present in the call from the inbound roamer and the called number satisfies a predetermined criterion; tracking unit, the tracking unit by monitoring transactions of the inbound roamer between a home location register of the visited public land mobile network visited location register (VPLMN VLR) and a home public land mobile network (HPLMN HLR), and to create the said inbound roamer roaming user database, wherein the transaction in the mobile application part (MAP) protocol and 处理，其中，所述追踪单元产生所述漫游用户数据库，所述漫游用户数据库包括一个或多个所述入境漫游用户的字段，所述字段从以下群组中选取，该群组包括移动台国际用户目录号码（MSISDN)、入境漫游用户的国际移动用户识别码（IMSI)，对于入境漫游用户的始发移动网络增强型逻辑的客户化应用用户签约信息（O-CSI)、呼叫转移信息、访问移动交换中心(VMSC)、运营商决定的闭锁（ODB)、补充服务（SS)、受访移动交换中心（VMSC)、和访问位置寄存器（VLR)。 Process, wherein the tracking unit generates the roaming user database, the roaming user database comprises one or more fields of the inbound roamer, said fields selected from the following group, the group comprising a Mobile Station International a user directory number (the MSISDN), an inbound roamer international mobile subscriber identity (the IMSI), customized applications for the inbound roamer user originating mobile network enhanced logic subscription information (O-CSI), call forwarding information, access mobile switching center (VMSC), the operator decided lockout (ODB), supplementary services (SS), visited mobile switching center (VMSC), and a visitor location register (VLR). 2.如权利要求1所述的系统，其特征在于，所述交换中心是，被配置以将所述被叫号码的所述路由请求发送至所述服务节点的网关移动交换中心（GMSC)和移动交换中心（MSC) 中的一个。 2. The system according to claim 1, wherein said switching center is configured to route the request to the called number to the gateway mobile switching center serving node (GMSC) and a mobile switching center (MSC) in the. 3.如权利要求1所述的系统，其特征在于，所述交换中心是，被配置以将所述被叫号码的所述路由请求发送至所述服务节点的全球移动通讯系统服务交换功能（GSM SSF)节点。 3. The system according to claim 1, wherein said switching center is configured to send the routing request for the called number to the service node Global System for Mobile Communications Service Switching Function ( GSM SSF) node. 4.如权利要求1所述的系统，其特征在于，所述服务节点将与所述被叫号码相关的国际移动用户识别码IMSI发送至所述交换中心。 4. The system according to claim 1, wherein the service node associated with the called number is international mobile subscriber identity IMSI is sent to the switching center. 5.如权利要求1所述的系统，其特征在于，所述服务节点是受访公用陆地移动网(VPLMN)的增值服务（VAS)节点。 5. The system according to claim 1, wherein the service node is a visited public land mobile network (the VPLMN) value-added services (VAS) node. 6.如权利要求1所述的系统，其特征在于，所述控制节点是全球移动通讯系统服务控制功能（GSM SCF)节点，用来执行所述入境漫游用户的所述呼叫控制服务。 6. 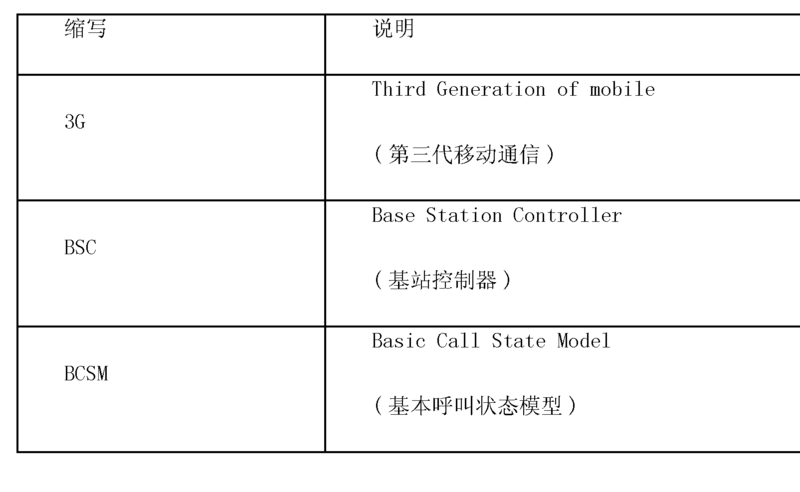 The system according to claim 1, wherein the control node is a global system for mobile communications service control function (GSM SCF) node, the inbound roamer to perform the call control service. 7.如权利要求1所述的系统，其特征在于，所述控制节点是全球移动通讯系统服务控制功能（GSM SCF)节点，所述服务节点与该控制节点集成在一起，来执行所述入境漫游用户的所述呼叫控制服务。 7. The system according to claim 1, wherein the control node is a global system for mobile communications service control function (GSM SCF) node, the service node is integrated with the control node, to perform the inbound the roamer call control services. 8.如权利要求1所述的系统，其特征在于，所述T-CSI包括服务钥匙，该服务钥匙识别待被所述控制节点使用的应用。 8. The system according to claim 1, wherein the T-CSI comprises a service key identifying the service key to be used by the control application node. 9.如权利要求1所述的系统，其特征在于，所述启动请求包含初始检测点（IDP)。 9. The system according to claim 1, wherein said start request contains an initial detection point (IDP). 10.如权利要求1所述的系统，其特征在于，所述控制节点利用所述入境漫游用户的IMSI来生成所述呼叫的记帐信息。 10. The system according to claim 1, wherein the control node uses the IMSI of the inbound roamer to generate billing information for the call.